With more than six million copies sold, Barry Sears’ book, Enter the Zone, seems to have struck a resonant chord with Americans. It’s no wonder, considering the Zone’s promises: permanent weight toss, increased energy, and improved athletic performance. These can be yours by eating more protein and fat, and, miraculously, without calorie restriction! Are these promises realistic? Does the Zone diet really deliver? Or, is this just another joyride on the Great American Diet Rollercoaster? Sears is certainty correct that Americans are getting fatter. Statistics show that in 1980, 25 percent of the population was overweight. By 1990 that number had risen to 33 percent, or one out of every three Americans. Perhaps even more disturbing is that these statistics are true for children as well as for adults. Are Americans really eating less fat? Sears claims that Americans are coning just 15 percent of their calories from fat. Yet nationally recognized food surveys like the Nationwide Food Consumption Survey and the National Health and Nutrition Survey indicate that fat consumption is actually between 37 and 38 percent of calories. In other words, the diet that Sears condemns for making Americans fatter is not the diet that most Americans follow. Furthermore, the claim that Americans’ increased obesity is the result of eating less fat and more carbohydrate flies in the face of all scientific evidence. 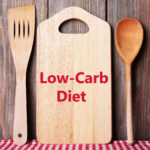 Countless studies, both clinical and epidemiological, have shown that diets low in fat and high in complex carbohydrate and fiber are positively correlated with maintenance of desirable weights. In an extensive study of diet and health conducted in the People’s Republic of China, T. Colin Campbell, Ph.D., a nutritional biochemist from Cornell University, clearly illustrated the link between consumption of high-fat diets and increased incidence of obesity .Those individuals eating the most fat had the highest rates of obesity, as well as heart disease, certain cancers, and adult-onset diabetes. It is important to emphasize that the diets which consistently promote good health are based on complex carbohydrates, which are found primarily in unrefined foods, such as legumes, whole grains, vegetables, and fruits. It is these foods that are basic to a healthful, low-fat diet. By contrast, over consumption of simple and refined carbohydrates such as sugar and refined flour can lead to unwanted weight gain. Sears is correct when he criticizes low-fat, high-carbohydrate diets that are based on high-sugar and refined flour foods such as fat free cookies, chips, bagels, and frozen yogurt. Americans have been stuffing themselves on these, and as a result, fat-free has become just another failed diet for many people. However, contrary to Sears’ assertions, the increase in obesity among Americans is not due to any insidious quality of carbohydrate. The simple fact is that weight has increased because total calorie consumption has increased. In 1980, Americans were consuming 2000 ca tories per day. By 1990 that figure had increased to 2200 calories per day, a jump of ten percent! Think about it: a ‘Quarter Pounder” used to be a BIG burger. Now it’s the norm and fast food chains are touting their ‘Half Pounders’ and “FUll Pounders.” Consider the gigantic size of soft drinks and popcorn at the movies, or the fact that many people think of a pint of Hagen-Daaz as a single serving! The fact remains that excess calorie consumption (whether from protein, carbohydrate, or fat) leads to weight gain. Like it or not, in order to lose weight and keep it off, calories must be limited to a reasonable number each day. This is not the message that most people want to hear, which is why they continue trying different diets, hoping that one of them will hold the key to guilt-free gluttony. According to Sears, the Zone is ‘that mysterious but very real state in which your body and mind work together at their ultimate best … the mind is relaxed, yet alert and exquisitely focused … the body is fluid, strong, and apparently indefatigable. It is almost euphoric. There are no distractions, and time seems to slow down to a graceful waltz”. In explaining his simpler, better way to eat,’ Sears says that “…you must treat food as if it were a drug. You must eat food in a controlled fashion and in the proper proportions – as if it were an intravenous drip.” According to Sears, ‘Food is far more important than just something you eat for pleasure or to appease your hunger. Rather, it is a potent drug that you’ll take at least three times a day for the rest of your life … In essence, you’re treating food as if it were a prescription drug: delivering a controlled amount of protein and carbohydrate at every meal…” This is a simper, better way to eat,’ one which makes life more enjoyable? It is probably safe to say that if your stomach isn’t growling.then you are NOT in the Zone! According to Sears, the key to entering the Zone is determining one’s proper protein level. He explains that the “amount of protein that you require wilt be genetically unique to you and you alone.” Through a complicated series of mathematical computations (for which he offers no scientific basis), Sears provides a method for determining one’s individual protein requirement. He says that the correct amount of protein is dependent upon one’s weight, percentage of body fat, and level of physical activity. After calculating the protein level, corresponding fat and carbohydrate levels can be determined using guidelines proposed by Sears: ‘Maintain a beneficial ratio of protein to carbohydrate every time you eat … The ideal is about .75 which equals 3 grams of protein for each 4 grams of carbohydrate … for every gram of protein you eat, you’d be eating slightly more than 0.4 of a gram of fat…” Another way to express this “ideal’ proportion of protein to fat and carbohydrate is the now familiar 30/30/40 ratio. This ratio – thirty percent of calories from protein, thirty percent from fat, and forty percent from carbohydrate has Americans salivating all the way to the meat counter, because it appears to eliminate restrictions on fat and protein, and open the door to increased consumption of meat, dairy, and other animal products. But hold on to your shopping cart, because the actual amount of protein permitted on a Zone diet is not as high as it might initially appear. Although Zone protein levels do tend to be somewhat higher than the Recommended Dietary Allowances (RDA), they are actually lower than the amount of protein current[y consumed by most Americans on typical meat-based diets! In other words, to enter the Zone, many people will have to actually decrease their consumption of high-protein foods! Another aspect of the Zone diet which many find appealing is Sears’ discussion of the need for fat in the diet, and his condemnation of very low fat diets. He is absolutely correct that some fat is essential. In addition to supplying fat-soluble vitamins and essential fatty acids, fat plays a role in the production of eicosanoids, hormone-like substances which affect everything from blood clotting and blood pressure, to bronchial constriction and inflammation. However, contrary to Sear’s assertions, most Americans are in little danger of becoming fat-deprived. As mentioned earlier, Americans currently get 37 to 38 percent of their calories from fat, an amount substantially higher than Sears’ thirty percent! To really get into the Zone, most Americans will have to significantly reduce their fat consumption. Carbohydrate consumption does indeed raise blood glucose, and it causes the body to produce insulin. However, this is only part of the picture. The regulation of blood sugar levels is accomplished not only by insulin, but also by glucagon, epinephrine, glucocorticoids, thyroxine, and growth hormone. It is an incredibly complex process which has been vastly oversimplified by Sears. To begin with, his condemnation of insulin seriously downplays its essential rote in maintaining blood glucose levels within normal ranges. He blames carbohydrate for raising insulin levels, but fails to mention that dietary protein also causes insulin levels to rise. He explains that excess carbohydrates are ruthlessly turned to fat by insulin, but fails to mention that dietary protein and fat will also be tuned to fat if excess calories are consumed. In fact, the body is much more efficient at converting dietary fat to body fat than it is at converting carbohydrate to fat. Several steps are required in the conversion of carbohydrate to fat, and up to 23 percent of the ingested calories are burned in the process. By contrast, conversion of dietary fat to body fat is quite efficient and uses only three percent of the ingested calories. In other words, more calories are burned and fewer are stored when excess calories come from carbohydrate than when they come from fat. Sears touches on something important when he states that the glycemic index “should have turned the nutritional community on its head [italics mine].” Although it was originally hailed as a breakthrough for the management of diabetes, the glycemic index has not proven to be a reliable predictor of the effect of various foods on blood glucose Levels, and its use is not advocated by the American Diabetic Association or other nutrition professionals. The problem is that a host of other factors also affect the body’s glycemic response to a food, including whether the food is eaten alone or in combination with other foods, whether it is cooked or raw, and whether it is fresh or canned. Additionally, the presence of anti nutrients such as phytates, tannins, and lectins, as well as the amount and type of fiber (e.g., soluble versus insoluble) also effect the glycemic response to a food. Even the addition of salt to a meal affects its glycemic response. The glycemic index is not a reliable tool, yet it is a cornerstone of Sears’ Zone theory. To borrow a phrase used by Sears, “it doesn’t take a rocket scientist” to see that this is a dangerously low calorie intake for a man who is 6’5″. (We used to call them ‘starvation diets.’) Such calorie restriction flies in the face of Sears’ assertion that “On a Zone-favorable diet you restrict excess calories from carbohydrates, not total calories and certainly not nutrition.” [italics mine]. It is painfully clear, in spite of Sears’ statements to the contrary, that the foundation of the Zone is extreme calorie restriction. In the short term, such a very low calorie diet will indeed lead to weight loss, but most of it is water toss. In the long term, it will cause nutritional deficiencies and a decreased metabolic rate, making it even harder to maintain a healthy weight. Finally, it should be obvious that such severe calorie restriction will cause ravenous hunger. It is probably safe to say that if your stomach isn’t growling, then you are not in the Zone! Just thinking about limiting my total calories to 1000 a day makes me hungry! Even if I wanted to lose weight (which I do not), my calorie intake should never drop below 1200 per day. Is there a way to increase the total calories and thereby make this diet nutritionally adequate? Not really, because the protein requirement is firmly fixed and cannot be increased if I want to stay in the Zone. Increasing the amounts of carbohydrate or fat would throw off the ratio, and I would no longer be eating a 30/30/40 diet. The only other source of calories that I could turn to would be alcohol. Making up my calorie deficit with alcohol would indeed produce a sort of euphoria, but I don’t think this is the ‘Zone’ that Sears is referring to! Looking at the numbers, it is obvious that the Zone is not an excessively high-protein diet. While the amount of protein is somewhat higher than the RDA, the 30/30/40 ratio is achieved not so much by increasing protein as by stashing the total number of calories. As the total calories decrease, the percentage of calories from protein increases. This gives the Zone the appearance of a high-protein diet, which is what makes it so attractive. However, as mentioned earlier, Americans eating typical meat-based diets would be surprised to discover that the actual amount of protein permitted on a Zone diet is probably less than they currently eat. Along the same lines, contrary to initial appearances, the Zone is not an open invitation to high-fat eating. In fact, the amount of fat allowed in an entire day on a Zone diet is less than many Americans eat in a single meal! Add to this the extreme calorie restriction of the Zone diet, and it suddenly looks a lot less appealing. When it comes to losing weight, we will probably never stop looking for a magic answer: a diet that allows us to eat all our favorite foods with no restrictions and no adverse effects. At first glance, the Zone seems to be a dream come true: eat more protein and more fat, and lose weight! However, upon closer examination, it is just another numbers game that will leave you disappointed and very, very hungry. Talk about Double Speak! In the first sentence, he criticizes diets which are based on cutting calorie consumption, Yet, he goes on to say that the Zone diet is based on not putting “as many external calories in your mouth.” Who does he think he’s kidding? Krouse’s Food, Nutrition & Diet Therapy, 8th Edition, Mahan & Arlin, W.B. Saunders Co., 1992. Textbook of Endocrinology, 7th Edition, Wilson & Foster, W.B. Saunders Co., 1985. Recommended Dietary Allowances, 10th Edition, National Research Council, 1989. Human Biochemistry, 10th Edition, Orten & Neuhaus, The C.V. Mosby Co., 1982. The Dietitian’s Guide to Vegetarian Diets, Messina & Messina, Aspen Publishers, Inc., 1996. Understanding Nutrition, 7th Edition, Whitney & Rolfes, West Publishing Co., 1996.